Explore one of the most beautiful metro systems in the world during this 3-hour small-group tour of Moscow. There are 215 metro stations in Moscow, almost half of which are protected monuments. 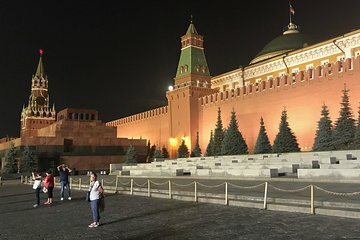 Discover the rich history and architecture behind a handful of historical stations before embarking on a walking tour of Moscow’s highlights including the Kremlin and St. Basil’s Cathedral.